A team of 30 Canadians, including two volunteers from Essex County, are heading to Vietnam later this week to be part of a big build through Habitat for Humanity. Kim Davies and Al Howlett will join about 250 volunteers from around the world to help build homes for 25 families in the Dong Thap province. 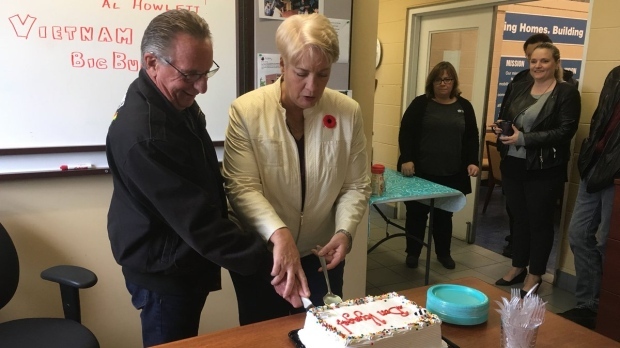 Davies is a Habitat Windsor board member while Howlett is a Vietnam War veteran who is looking forward to returning to the country as part of a friendly mission. Both Davies and Howlett are paying roughly $5,000 out of pocket to be part of this experience. The homes will be built using bricks and each family will learn about home maintenance and water sanitation.